Quest Red+1 has changed Freeview multiplexes, allowing some viewers to access the timeshift channel on 24 hours a day. 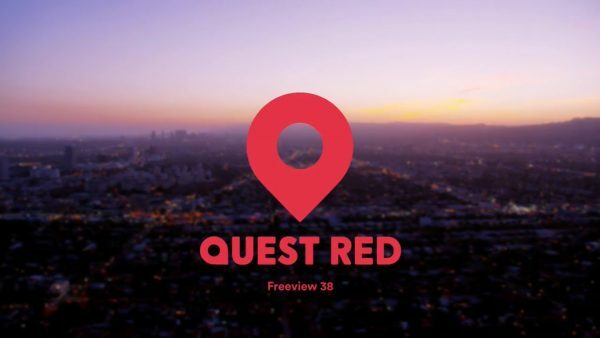 Quest Red+1 was previously only available for a few hours every morning, its main purpose to secure a Freeview channel number for when it was able to go full-time. The new frequency allows Quest Red+1 to reach around 3/4 of UK households. Viewers are required to have a next generation Freeview HD or Freeview Play (DVB-T2) compatible TV or device to watch the standard definition channel. It is available following a retune to anyone who can already receive channels such as BBC Four HD on 106 and BBC News HD on 107. For those unable to watch Quest Red+1 on Freeview, the channel is free-to-air on satellite and can be viewed on the Freesat and Sky platforms.